Some progress to share on this quilt I’ve been working on using needle turn appliqué (also called Hawaiian need turn appliqué). 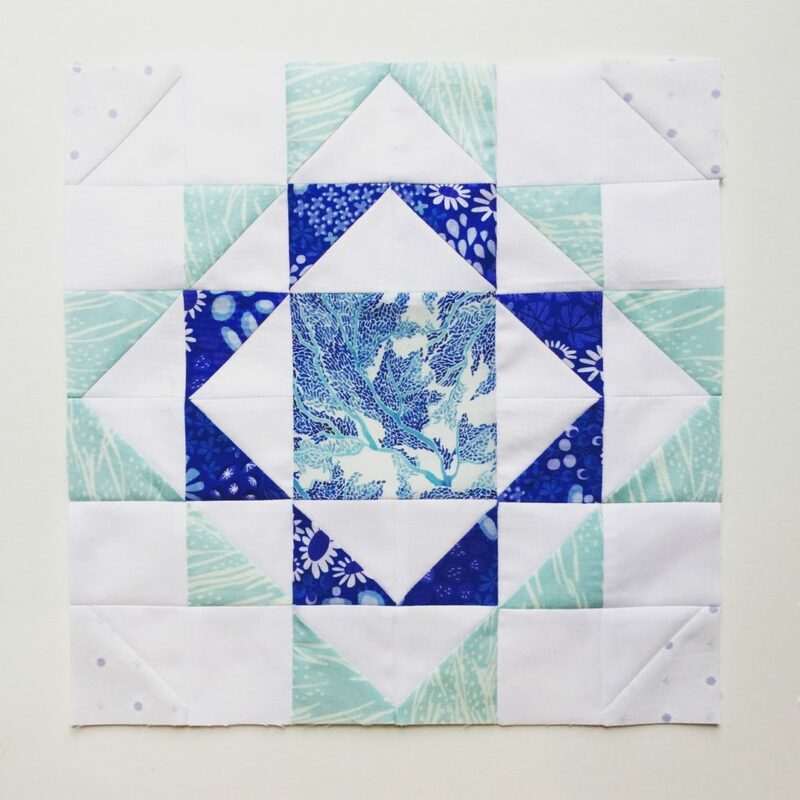 This is the Rin Quilt pattern by Carolyn Friedlander and as you can see I’ve done it up in corals and mint because I want to use this specifically as a wall hanging for Christmas. I had hoped to include it in the holiday sewing project round up last month but did not make it in time. Now I have a top ready to go, with plenty of time for quilting before next Christmas comes around. 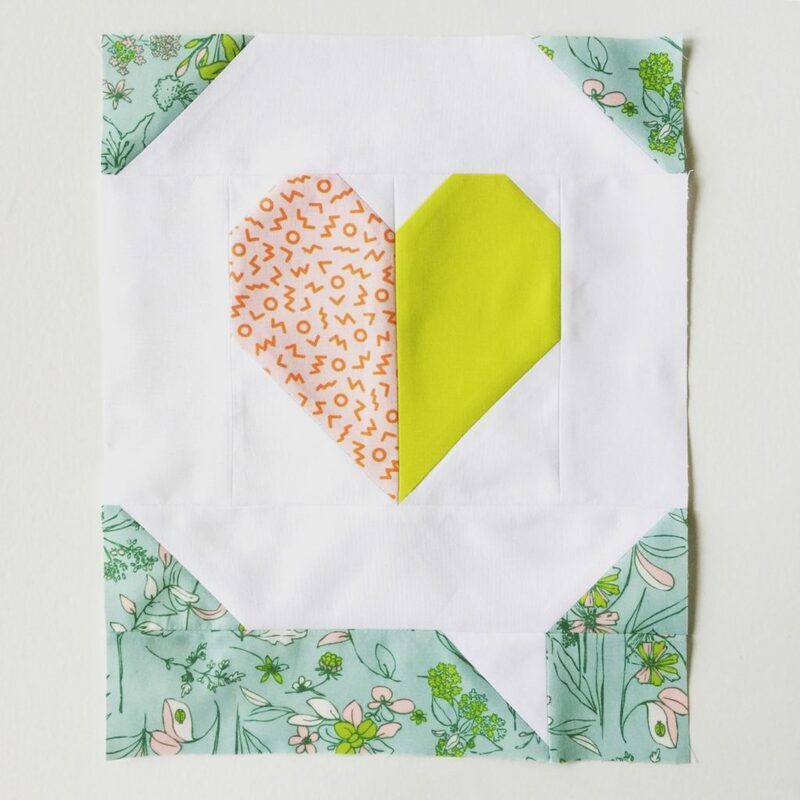 I love this quilting technique because it’s machine-free. Unless you choose to machine baste, which I actually did this time around, and I think it improved my results. So you can sit and sew all cozy, watching movies on the couch. I’m so into handwork projects lately that I plan to get right back to my Kingfisher EPP now that this quilt top is finished! Back to the Rin Quilt pattern: the large block sizes make this a very fun project to work on. 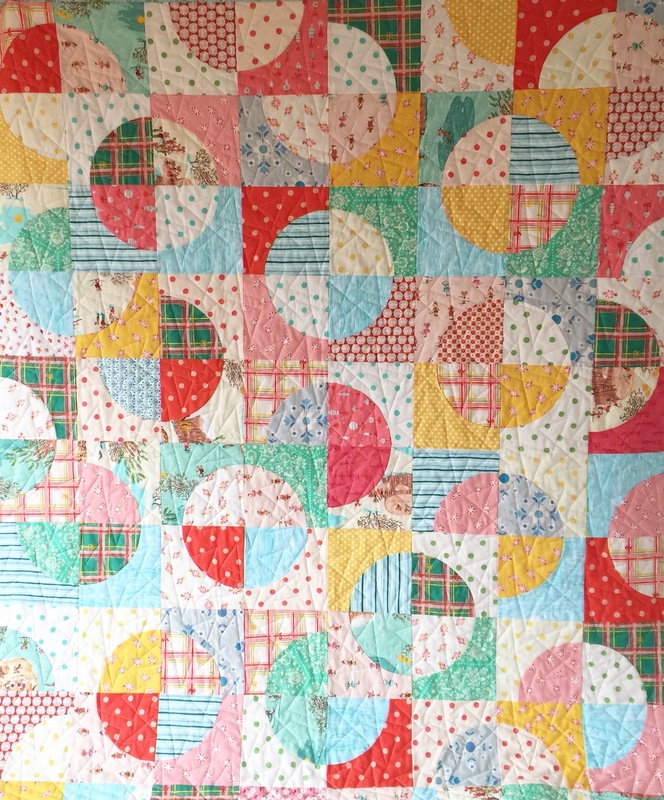 You may work on a single block for a while, but once you’ve got a few down you’ll see your quilt come together quickly. There are a couple of tools/notions that Carolyn recommends and now that I’ve tried them, I swear by them. The first is a pair of Kai scissors. I believe the Kai 5100 is what I have. They are incredibly sharp, and for slicing through layers of fabric with accuracy, they are indispensable. The second is a lightweight thread. The Aurifil 80wt Cotton Thread Set for appliqué is what I’ve been using. 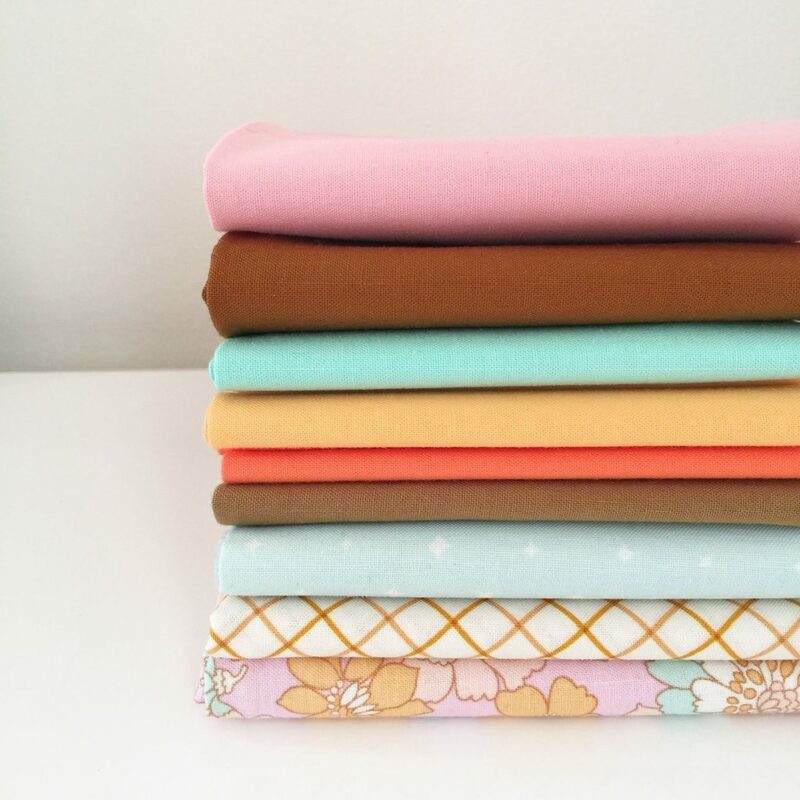 Of course you just need a spool or two, but I’ve found the set curated by Carolyn has the perfect mix of colours. This is the third needle turn quilt I’ve started, each with a different palette, and I haven’t been at a loss for the right colour once. If you’re intimidated, don’t be! 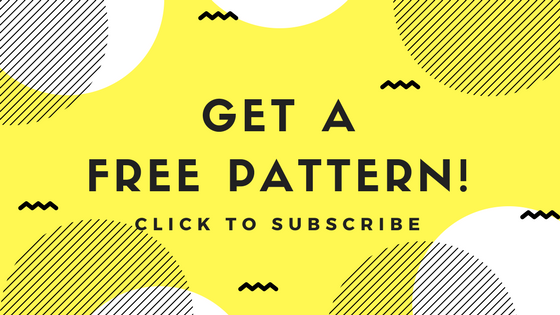 My suggestion would be to start with a pattern with lots of big convex curves. They are strangely easy to get right. Inner/concave needle turn applique points and curves are notoriously more difficult to master. (I’m definitely still working on it.) But just like anything else you’ll improve with practice. 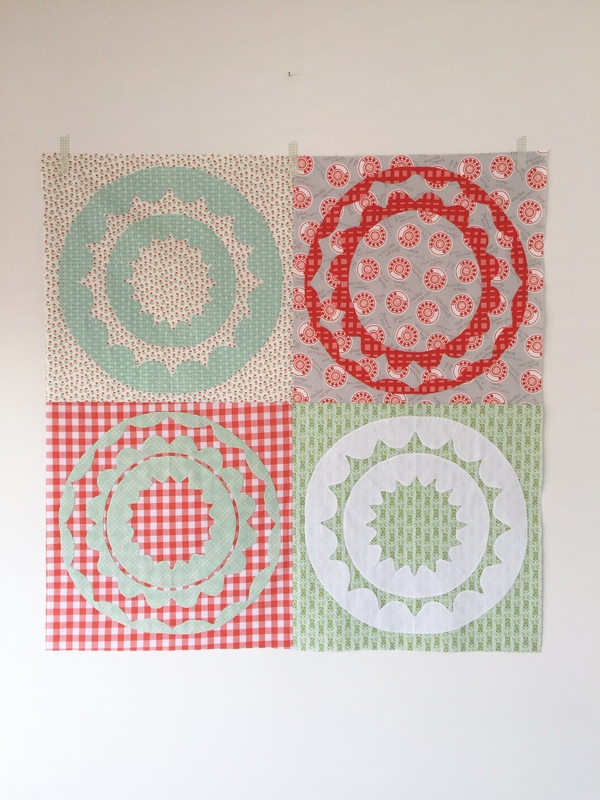 The Rin Quilt pattern provides lots of opportunity for this, with throw, wall, full, and king size quilt versions included, as well as a 20” square sham. 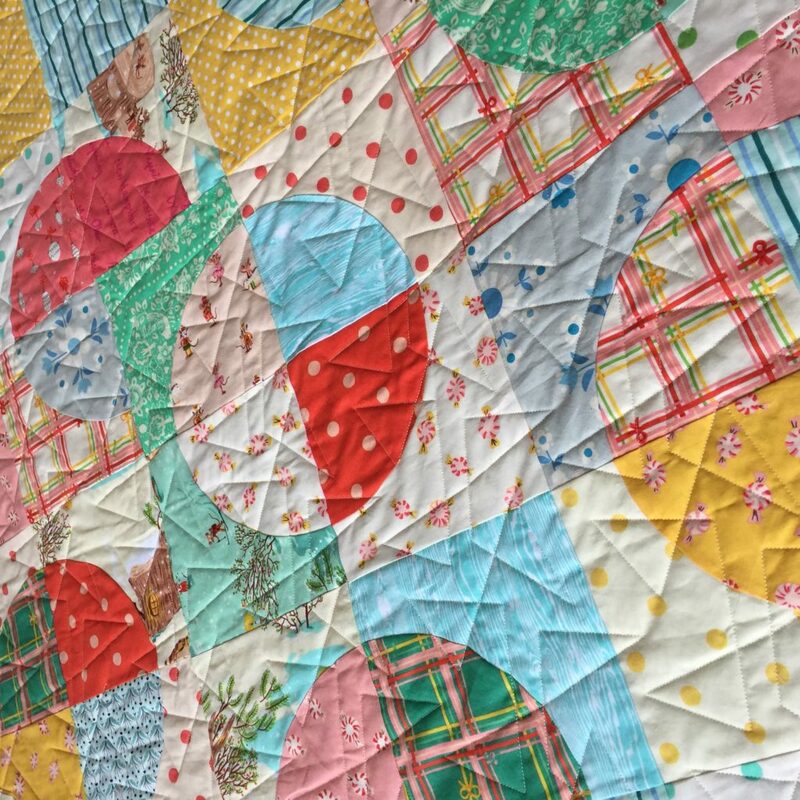 As soon as I saw the Double Time Quilt pattern in the Handmade Getaway book I knew it would be the perfect way to make two “matching but not matching” quilts as gift for two little girls. 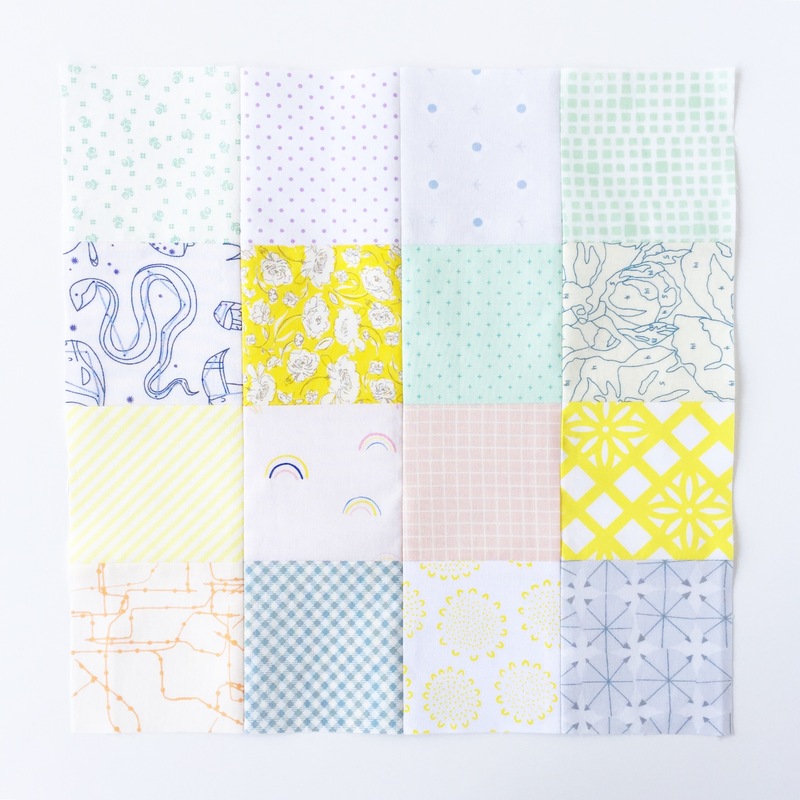 Instead of swapping all of the fabrics I used the same prints for about two thirds of the blocks. Then, for the rest of the blocks, I used fabrics that were distinct to each quilt. 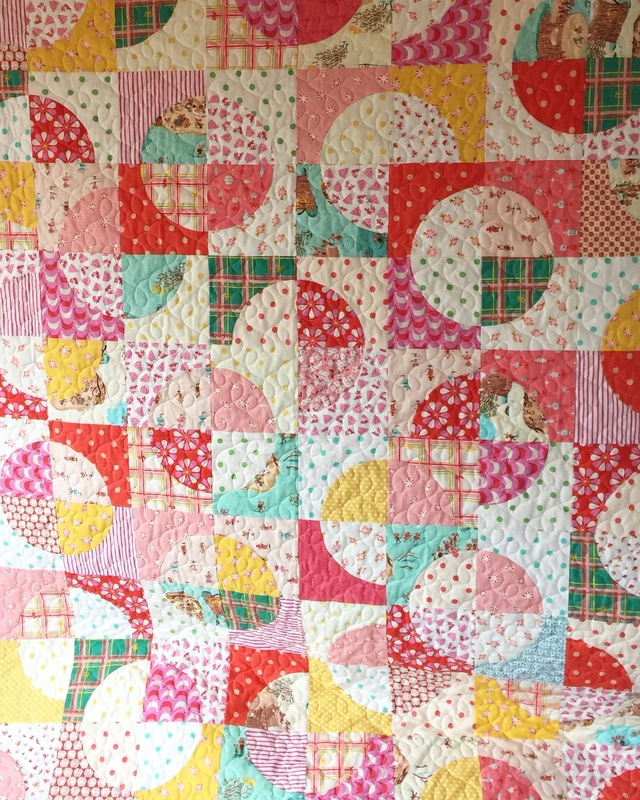 Heather Ross’ Sugarplum fabric for the shared prints, then a set of pinks and reds for one quilt, and blue-y greens for the other. The end result was that one quilt had more of a candy-coloured feeling, while the other was more rainbow bright. My curves are not perfect but my skills in this area have improved over the years so I do have some tips. My biggest suggestion, if you’re new to curves, is to RELAX and just go with it. Counter-intuitively, my occasionally loosey-goosey sewing style somehow lends itself to sewing curves. If you’re still nervous, see step 2. I use exactly five pins, and focus on only one section at a time. This is helpful if your brain is freaking out (OMG! I’m sewing a curve!). Forget about the rest of the block and just focus on that little stretch of space between two pins, using your fingers to gently keep both edges aligned. As suggested in the book, I used Flatter spray and it really made a noticeable difference preventing distortion. 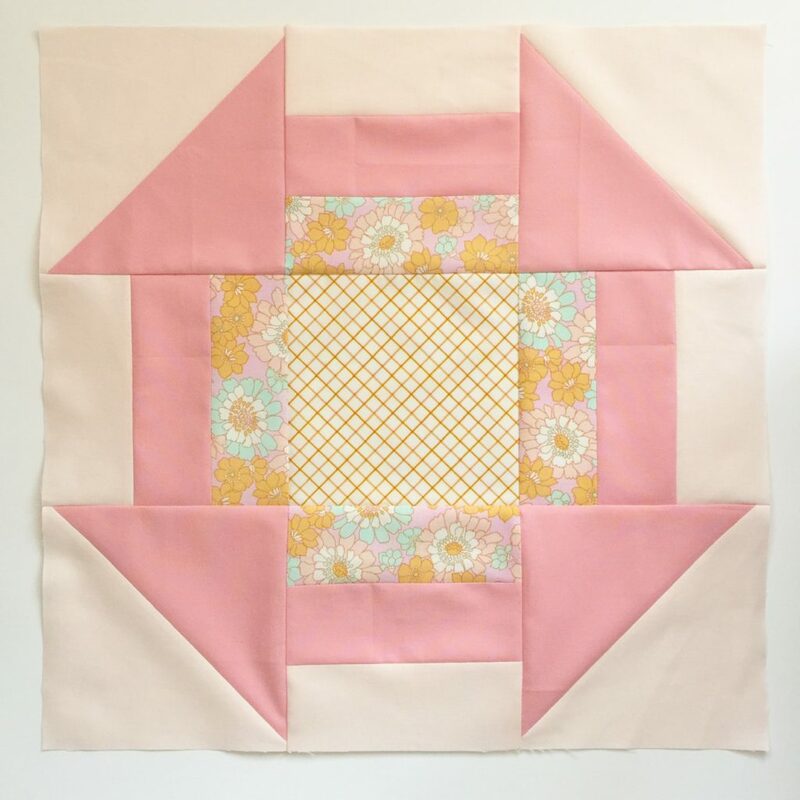 As I mentioned, the Double Time Quilt pattern is from the Handmade Getaway book by Jacqueline Sava Clarke and Karyn Valino. 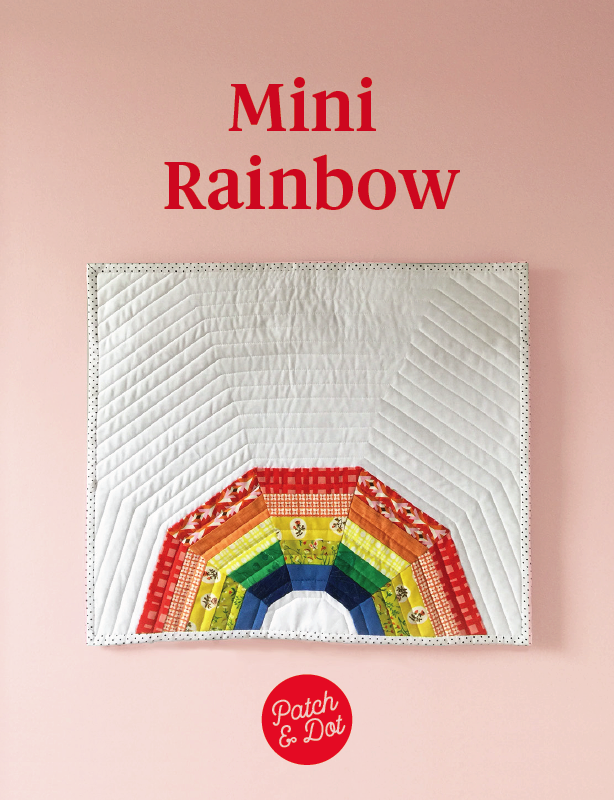 If you didn’t snag a copy during the Handmade Getaway Kickstarter, you can get it here or at your local quilt shop. 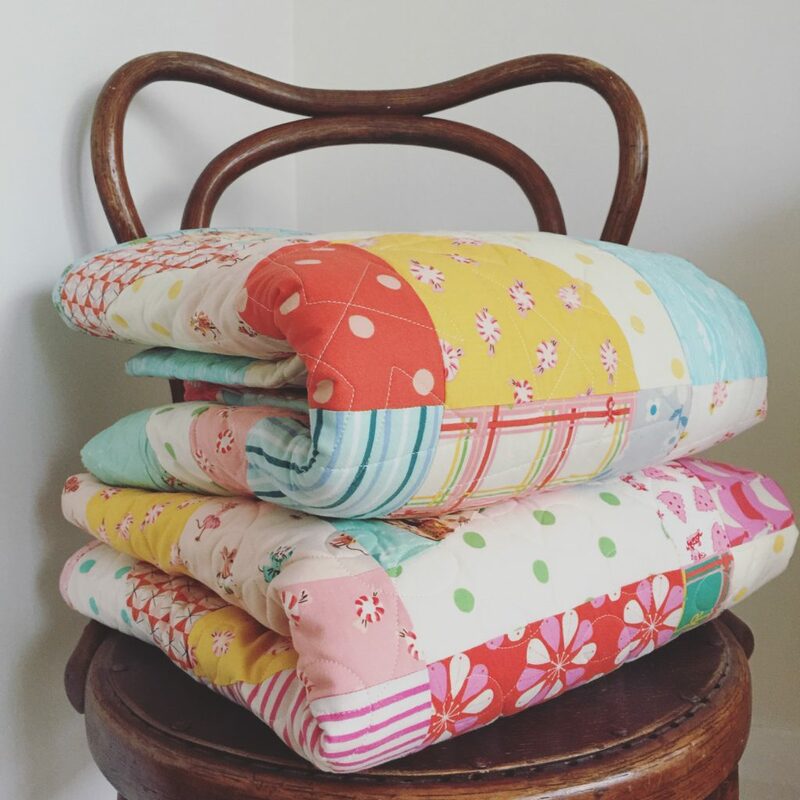 It’s full of great sewing projects (and printmaking projects as well)! 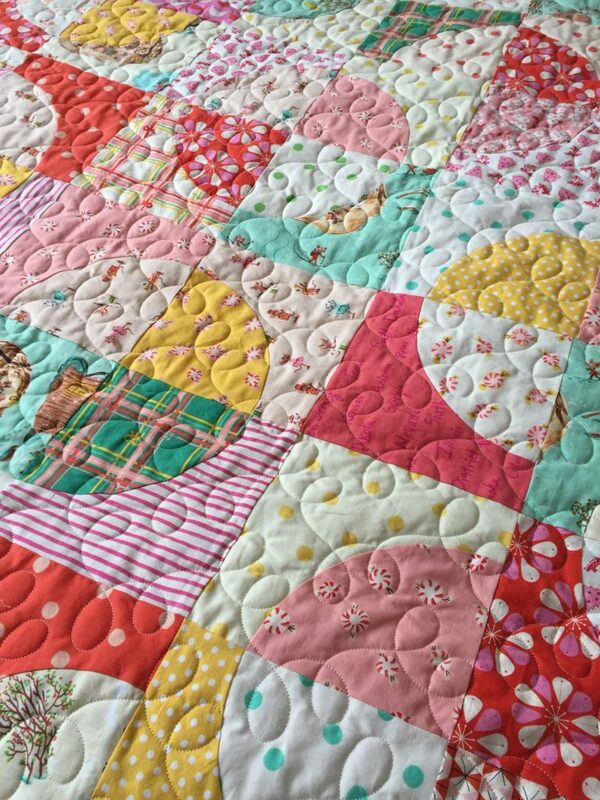 The beautiful long arm quilting on both of these quilts is by Spooled Rotten Quilts. Want more fun projects? 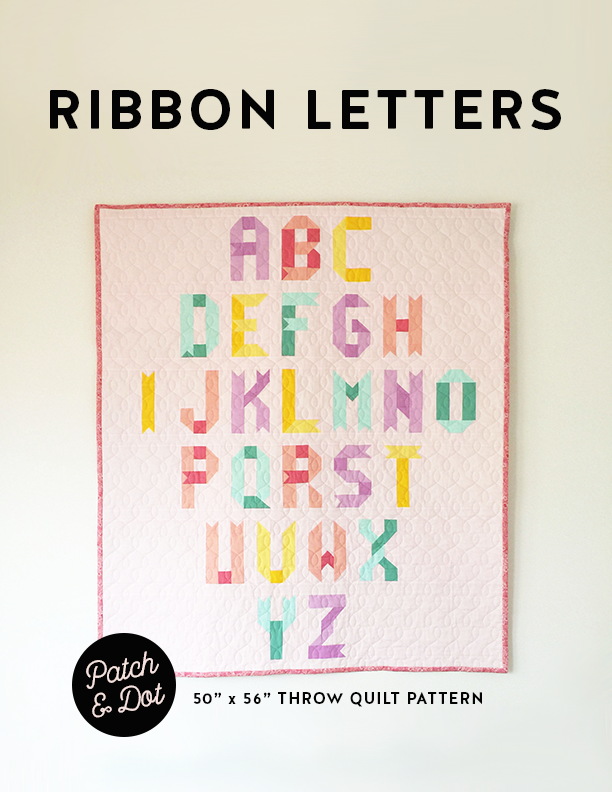 Enter your deets below and get a free quilt block pattern for Ribbon Letters blocks AB and C.
Success! Please check your email to confirm your subscription to the Patch and Dot newsletter.